Almost Everybody regardless of their Age and status knows about sugar and have used it in one way or the other.Naturally everyone tends to crave for sugar especially when we are young and tend to run away from any food that is bitter or have no taste. But these days people are clamoring for less of its use because it is discovered that it does more harm to the body than good. But let us learn more about this food, its sources and the reasons why it is considered an enemy. Coca leaves were used for centuries in their natural state to chew on or to make tea. This was normal and there were no issues. But, then they were highly processed and turned into a dangerous and addictive drug known as cocaine. Sugar first starts out as sugar cane – a healthy stalking plant. Used in its natural form you can’t consume enough to make you sick. But super-concentrated and processed it becomes like a drug. In fact, with lab rats, it outperformed cocaine as the drug of choice. 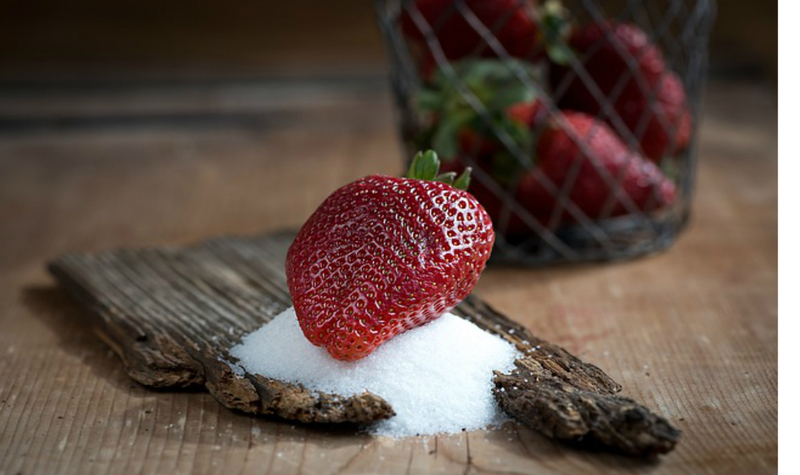 It’s important to know that there are various types of sugar, some natural and some very processed – to the point that even if they started natural, they are no longer natural. * Fructose – Don’t get confused by the word. While fructose is derived from fruit, it’s gone through processing that makes it a highly concentrated form of sugar. This type of fructose should really be called “industrial fructose”. Eating fructose from natural fruit is not unsafe and should not be avoided. Once processed, though, it becomes something else entirely and causes a lot of health problems. * Glucose – This is sugar that’s in your blood. You get it from natural plant foods such as carbohydrates, fruits, and vegetables, especially starchy ones. It’s one of the most important medications and very readily available in nature. It supplies almost all the energy to the brain. It’s important for metabolic health, respiration and more. If you want to be able to think clearly, you must have the right amount of glucose. Glucose is created industrially by using starchy plants like corn, rice, wheat, and other ingredients. * Lactose – Found in milk, it’s made from galactose and glucose. Industrially it’s produced as a by-product of the dairy industry. Most humans produce lactase to help digest this type of sugar far into adulthood. But some people, especially from eastern and south-eastern Asia and some parts of Africa cannot properly digest this type in adulthood. * Maltose – This is found in the germination process as the seeds break down their starch stores for food to sprout and grow. This type can cause many intolerances as well as weight gain, kidney stones and more. However, eating it in its natural form such as in sweet potatoes, soybeans, barley and wheat (other than those who suffer from celiac) is healthy. * Sucrose – This type comes from cane and beets. Modern processing can make it look just like table sugar. Before it’s been processed it has a lot of health benefits, vitamins, and minerals. Honey is mostly fructose and glucose with trace amounts of sucrose. As you see, most start in a very natural state and aren’t bad in their natural and most whole form until they undergo super-processing. It’s the super-processing that’s bad for you, because it makes natural sugars into highly addictive drug-like substances. Let’s look at many of the reasons sugar is thought to be bad for you. Some people say it’s one of the worst things you can introduce to your system, even above fat. 1. Your Immune System – If you consume too much processed sugar you can reduce your ability to kill germs inside your body. It doesn’t take much, either. Just two sodas can stop the ability to fight off that flu bug and lead to falling ill. This doesn’t mean you shouldn’t get vaccines if you don’t eat sugar, but when it comes to health, including dental health, avoiding added amount can boost your immunity exponentially. 2. 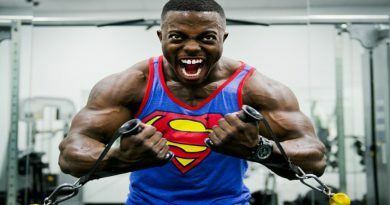 Mineral Balance – If you have trouble sleeping at night, are constipated and having other problems, you could be having trouble with your mineral balance. If you eat a lot of sugar, you are likely depleting your magnesium stores to process all of it. Plus, you will lose more chromium through your urine if you eat them a lot..
3. Behavior Problems – Every parent on the planet will tell you that sugar and lack of it can affect their child’s behavior. If a child is hungry and their blood sugar is low, they will be sleepy and grumpy. Also, If a child has an overdose, they will become agitated and animated. The key to better behavior is blood sugar balance. 4. Empty Calories – The fact is, processed sugar has no health benefits whatsoever. Therefore, when you eat sugary meals, you’re eating empty calories that will cause weight gain. The fact that sugar is often combined with fat and salt will make the effects even worse. It’s better to avoid added sugar when you can. 5. 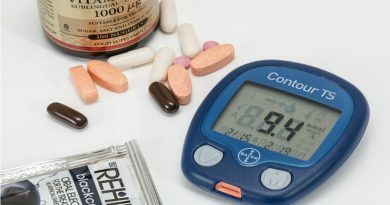 Elevated Insulin Responses – When your insulin response is healthy, your cells will release the right amount of insulin. But, if you regularly consume sugar, especially in “overdose” amounts, your body will become confused about when to release insulin and when not to. 6. Damages Cells and Tissues – The tissue in your eyes, kidneys, nerves and more seem to carry sugar a lot longer than other organs. This means that the body can suffer damage from that remaining sugar because it damages small blood vessels. 7. Causes High Blood Triglyceride Levels – There are no symptoms for high blood triglyceride levels. 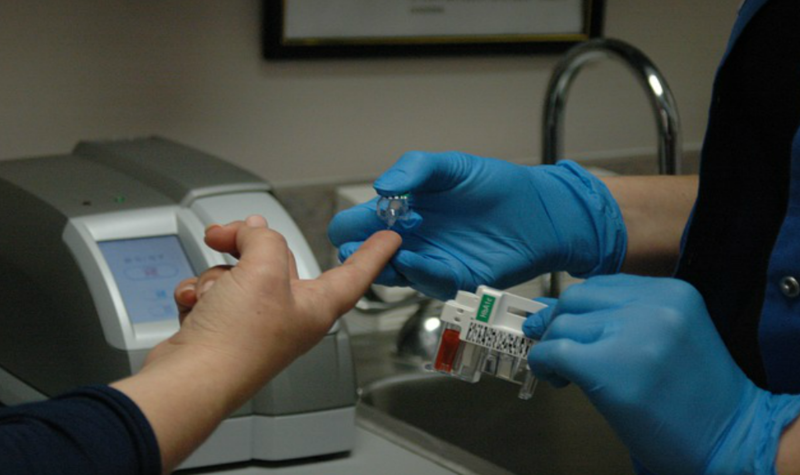 The only way to know if you have high triglycerides is by getting a blood test. It’s usually part of your overall cholesterol test. 8. Contributes to Hyperactivity – There are studies that show both results. Sugar does cause hyperactivity and sugar doesn’t cause it. You must remember that any drug can affect one human one way, and another human another way. But, parents often report problems with hyperactivity in their child after consuming too much sugar. You can’t ignore the possibility. 9. Anxiety – Refined sugars enter the blood stream quickly, and leave the blood stream quickly. This process can manifest in more anxiety overall. Even though often people who are addicted to it eat to suppress anxiety, it’s just making the problem much worse. It’s best to avoid added sugars in the first place. 10. Poor Concentration – Again, the reason sugar may affect concentration is because of the speed by which processed it can invade blood cells and then leave them. You need a balanced level of glucose to feed your brain, not short bursts of sugary content such as in the form of soft drinks or cereal. 11. Feeds Some Cancers – The fact is, cancer cells love sugar. That’s because like most living things they need it to grow. But, not all sugars are created equal. 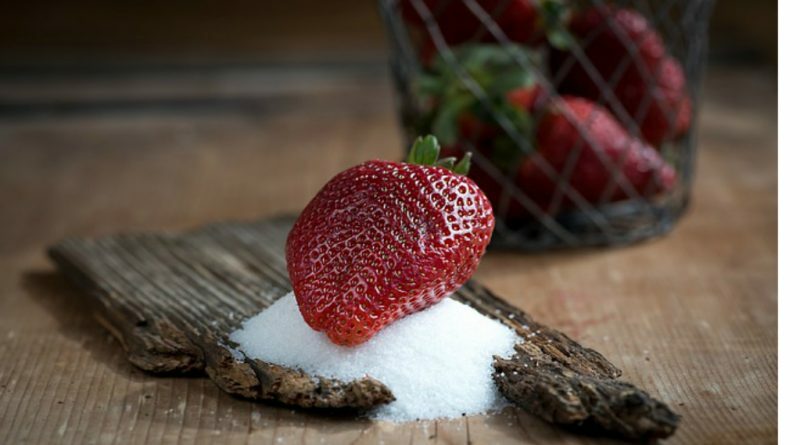 Cancer cells love white sugar, white flour, and high fructose corn syrup. The good thing is that if you simply reduce your consumption of processed sugar, you can cut your cancer risks. 12. Hypoglycemia – Low blood sugar happens in people who have a condition called hypoglycemia. This can be a condition on its own, but it can also happen in people who have diabetes and take medications like insulin because their bodies don’t produce enough on their own. 13. Poor Digestion – Processed sugar is very acidic. The more alkaline you can make your body, the healthier you’ll become. If you have an acidic stomach you’ll suffer from heartburn, GERD, and other digestion problems. Each person is affected differently. It’s best to look at your own symptoms and health issues and if you have any of these problems, try eliminating processed sugar first to see if you notice any changes in your health. The hidden sugar in our diet is hard to find. You’ll be amazed at the things that have added and often unnecessary amount inside. * Breakfast Cereal – Most of you could have guessed this one, but we’re not talking about the sugar in sugary cereal. We’re talking about hidden sugar in so-called healthy cereals. Some “healthy” cereals have more than 23 grams per serving. * Asian Food – Most restaurant-made or packaged Asian food has an enormous Sugary content in it. Even sushi. The way you make sushi rice includes adding sugar to it. You can make your own Asian food to ensure that the sugary content is not too high. * Canned and Packaged Soups and Sauces – Thankfully, all you have to do is check the labels. Some yogurt has more than 15 grams of sugar! Even spaghetti sauce and gravy can have more sugar than a soda pop. If you want to be sure to eat less sugar, read labels and find no-sugary options or make your own. * Frozen Yogurt – Just because the word yogurt is in it doesn’t mean it’s healthy. It’s just as sugary as regular ice-cream. It’s a dessert. Treat it as if it’s a dessert. Don’t use it for a meal, and don’t believe you’re eating healthier. If you prefer real ice cream for a snack you are now free to eat it instead, as one is not better than the other when it comes to this food. * Smoothies – They’re all the rage and there are many smoothie shops out there banking on it. But, most smoothie shops use fruit with added sugar which removes any benefits you would have from drinking a smoothie at all. If you make your own, watch it when recipes ask for dried fruit too. Using whole, fresh fruit is much better. * Bread – While there is some bread that is good for you, most bread is made with highly refined flour and sugar. Both of these affect blood sugar. Even wheat bread may be high in sugary content, so you need to read the labels. Bread that is usually low in sugar is rye or spelt. 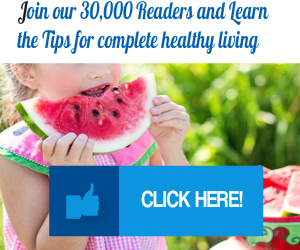 Plus, you can make your own to avoid additives and sugary content that can harm your health. * Condiments – You know we all like to dip everything. But, if you dip your fresh apples or celery into the wrong thing, you may be making matters worse. Instead, make your own condiments or read the labels. Today there are many low-sugar varieties of condiments, including low-sugary ketchup. * Canned Beans – Check the labels on canned beans, especially ones with any type of sauce on them like chili beans or baked beans. These are usually so high in these food amounts that if you compared it to a cake you wouldn’t know which was which just by the amount of sugar. * Muffins – You probably already realize that some muffins are high in sugary content, but even the ones that sound healthy are just cakes in muffin form with a healthy flour or healthy name added. They are all high in sugary content. There are some recipes for low-sugar muffins, though; just search the net and you’re sure to find them. You don’t have to do without. * Yogurt – Just like frozen yogurt is high in this food, so is most sweetened yogurt – including low-fat yogurt. The best way to combat this problem is to make your own yogurt or eat yogurt as a dessert. You can also buy plain yogurt and add your own fruit and stevia to create a low-sugar snack that is healthy due to the probiotics in yogurt. The lesson is that anything premade and packaged is in danger of having too much sugar. It’s best to read the labels and judge for yourself. Keep in mind that the average adult should not consume more than 90 grams, or 5 percent of their total calories, in added amount daily. ← What are the connections between exercise and Brain Functions?